Engineering is all around us, even in places where most of us may not realize it. Engineers have played a huge role in shaping the way our society operates, from how we get around to the ways we entertain ourselves. For this reason, we find it essential that young students are exposed to what engineering really is – and how exciting it can be. 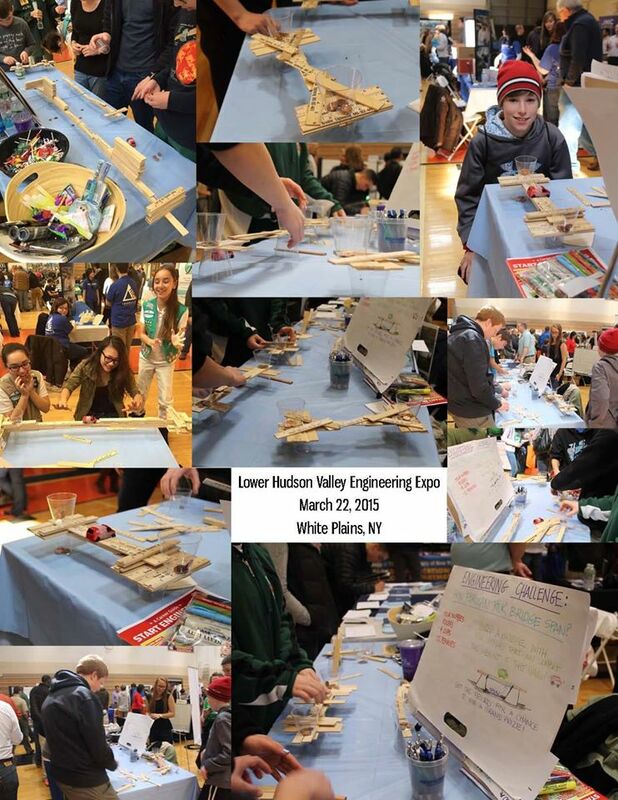 On March 22, our company participated in the 12th Annual Lower Hudson Valley Engineering Expo at White Plains High School. Over 100 engineering exhibitors participated in teaching young middle to high school students about the world of engineering through informational and hands-on exhibits. Our staff had a great day talking to the students and their parents about what it means to be a civil engineer. However, the highlights of the day came from watching the students design their own bridges in our engineering challenge – utilizing only 6-inch rulers, 12 pennies, and 4 plastic cups. The longest bridge measured at an astounding 23 inches and supported the weight of a weighed down toy car. It is our hope that the next generations are inspired by little things like this, and choose to pursue a passionate career in something that excites them. Brooker Engineering, PLLC is a multi-disciplinary civil engineering firm that has provided services for a wide variety of projects throughout the New York Metropolitan area.